PRESIDENT Edgar Lungu has said that teachers have a duty to ensure that the nation remains united through inculcating messages of brotherliness in school pupils by emphasising the importance of the information in the national anthem. President Lungu said the power of singing the national anthem should not be underestimated because it carried a message of patriotism, unity and identity. 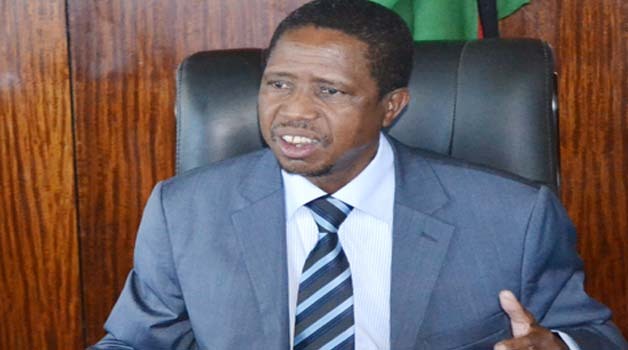 Mr Lungu said the importance of singing the national anthem was better taught to school pupils who even subsequently had the capacity to re-emphasise that message to their parents. The President said this yesterday when he visited Bauleni Primary School in Lusaka where he gave away hampers to school children as part of his New Year commemorations. 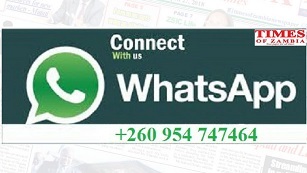 The President said it did not matter whether the national anthem was taught to pupils in English or a Zambian language, what was important was the core message of the song. Mr Lungu said Zambians should understand their obligation to treat each other as brothers in order to achieve a more unified State. He then challenged the pupils to sing for him all the three verses of the national anthem, a challenge Given Kabungo, 13, a grade seven pupil at the school successfully took in Nyanja. President Lungu also asked the pupils to sensitise their families on how to stay clear of cholera. And President Lungu has pledged to mobilise resources to upgrade Bauleni Primary School to a secondary school as a way of ensuring that late President Michael Sata’s vision was accomplished. The school was started by Mr Sata in 1982 as a community school when he was a ward councillor for the area. It is now a primary school with 14 classrooms, 45 members of staff and 2,039 pupils. Mr Lungu said every true Patriotic Front (PF) member like himself should work at materialising Mr Sata’s vision of prosperity for all Zambians. School head teacher Sikubile Wabinji said he was humbled that President Lungu spent New Year’s Day at Bauleni Primary School while a pupil Charity Kampamba told the President that his visit was an example of his caring nature. Earlier, President Lungu presented hampers to five New Year babies at Bauleni Clinic. The babies were three girls and two boys. Mr Lungu told the mothers that children should be well-taken care of. One of the mothers Rebecca Phiri, a market trader, who gave birth to a child she named Favour, said she was excited seeing the President for the first time in person and was humbled that he visited her and the baby. The President was accompanied by area Member of Parliament Margaret Mwanakatwe and Health Minister Chitalu Chilufya, among other officials.